Note: Due to the high demand, this Flash Sale is prolonged for another week! 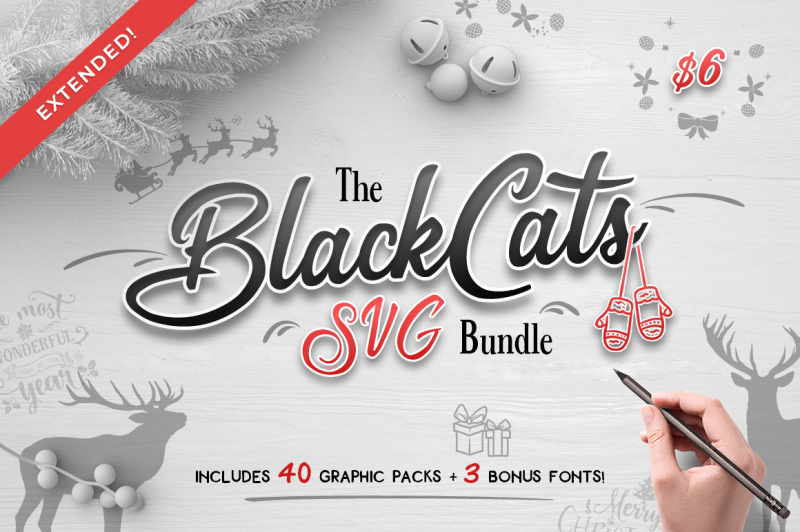 In this bundle from BlackCatsSVG you get 3 beautiful PUA-encoded fonts, plus 40 Christmas craft files in SVG, DXF, EPS & PNG format. This entire collection is normally priced at $123, but only for a couple of days you can get it at just $6 – that’s over 95% OFF! But don’t wait too long, as this bundle is available only for a couple of days! Note: Some products from this Flash Sale were featured in a bundle last year, so please make sure you didn’t buy it before! 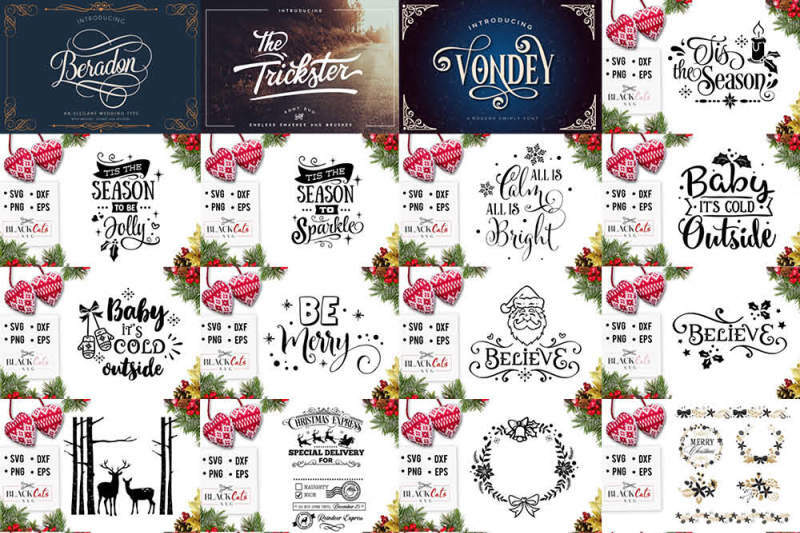 Christmas Express for Dark (SVG, DXF, EPS & PNG Format)? 4 Pairs of Deer Antlers (SVG, DXF, EPS & PNG Format)? ?